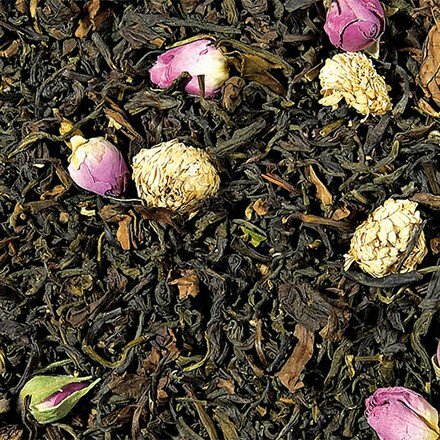 Asian flower oolong - Monsieur T.
Asian flower is as comforting as your granny’s apple pie. Like her, it solves any problems. It’s no coincidence that this oolong is called Asian flower. The aromas of mango, apple, passion fruit and flowers is simply bewitching! The oolong taste is complemented by that of mango and chamomile. There are also rose buds, which add a slight floral touch. Low in caffeine, this tea keeps you zen any time of the day.